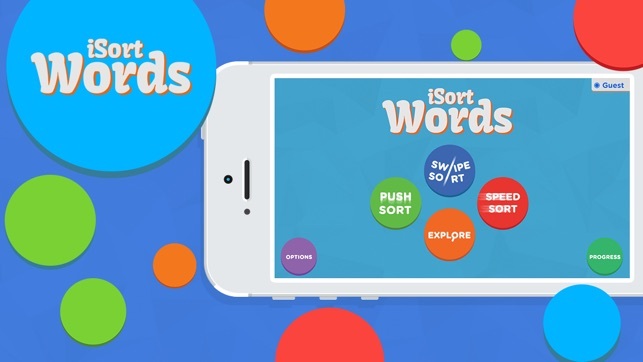 iSort Words is the exciting new game that helps early learners jumpstart their understanding of how words are formed. 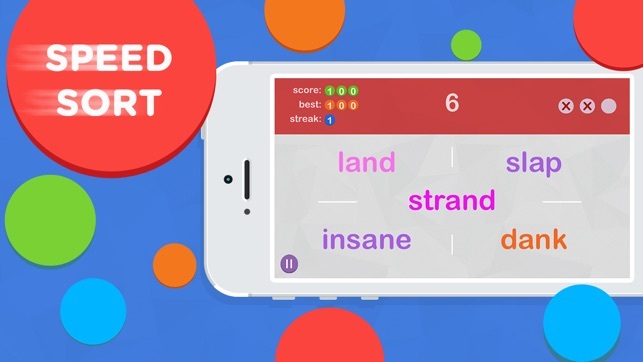 Children who play iSort Words will have fun with the delightful interface while learning how the beginnings and ending parts of words combine to form whole words! 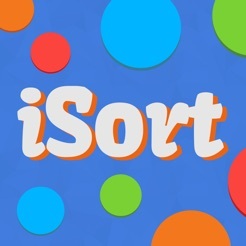 • KIDS will love playing Push Sort, Swipe Sort and Open Sort, the fun-filled games that allow them to sort words based on word endings. • PARENTS will love that their children are learning the building blocks of word formation while having fun. • TEACHERS will love that, with iSort Words, they have the perfect pedagogical tool for grapheme/onset-rime instruction. 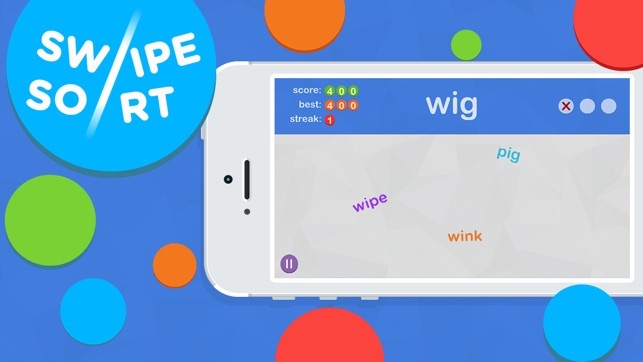 This wonderful app was made via an exciting partnership between professional teacher and educator Jason Hanrahan of Illinois, and Dactyl Studios, the creators of the internationally-acclaimed times tables app 'MultiFlow'. 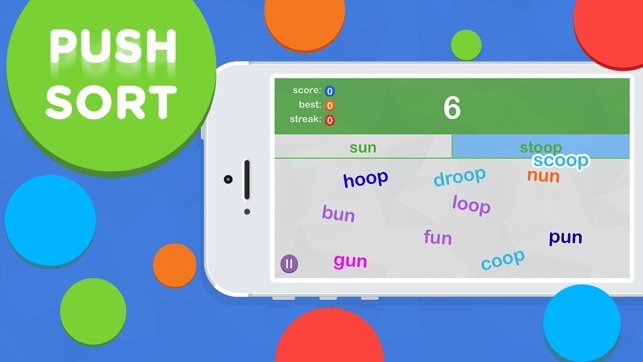 Try iSort Words today and start having fun with words! 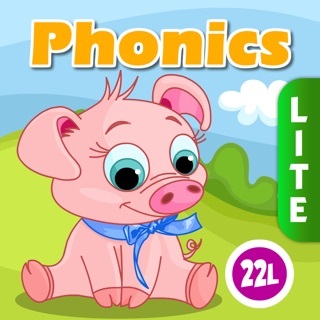 Let me start by saying I have taught both 1st and 2nd grade - the ages this app is targeted to. Overall, I think isort words is a great app. The amount of word families included is substantial, and the variety of sorting games offered is good for engaging the learner. 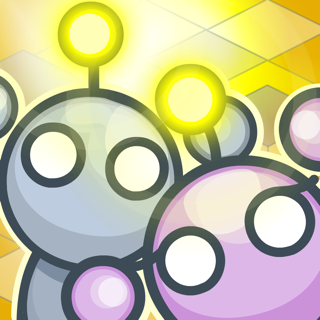 However, I think the words move way too fast in the explore mode. Because of this, it's more random selection than intentional word building. Also, I think it would be very helpful to see the lists of words as they are sorted (or at the very least after the sort is finished). More beneficial if you could go back and read the sorted words. All in all a decent app, just needs those improvements to increase the learning benefits.